I'm happy to announce that I am the official Boyfriend Jean Ambassador for H&M this season. H&m will be unveiling new spring denim styles in stores starting today. This fun acid wash pair with embroidered detailing is so me. A little off beat but still classic. 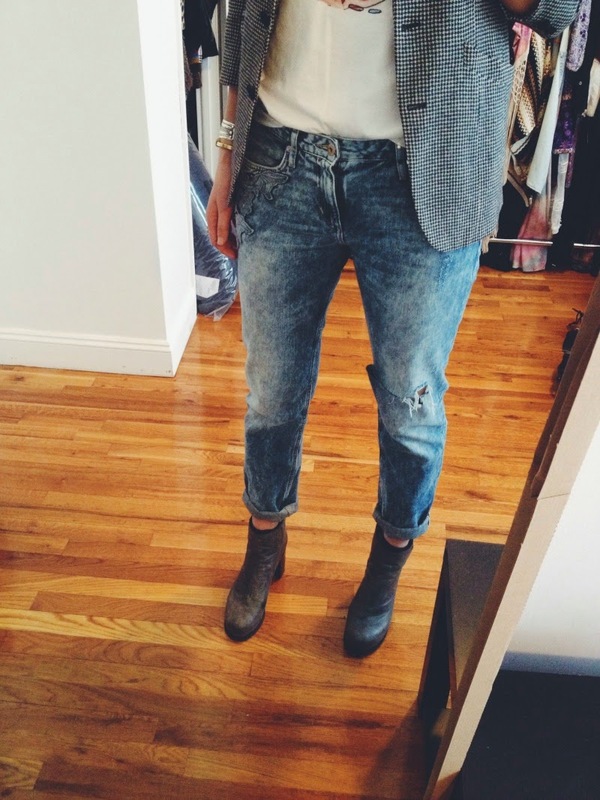 I love nothing more than pairing a good pair of boyfriend jeans with a crisp blazer. H&M will also be gifting one of you guys with a $200 H&M Gift Card for uploading selfies in your favorite pair of H&M denim! Just hashtag your selfies with #hmdenim and #lovemyboyfriends. What do you guys think about the boyfriend jean? Are you guys going to be busting them out this spring? I recently started wearing jeans again, and bought a few pairs of bf jeans, and I'm in love! They look great on you! Congrats on being an ambassador for H&M! I really like those jeans a lot. I wish I had boyfriend ones from there! you look SO adorable! love the denim. Congrats Dylana, I can't think of anyone better to do this than yourself ! You are quite the inspiration for us Bohemians! can't wait to check out h&m and try these babies on! you know i love me a good pair of BF jeans and these look perfect on you! Congratulations Dylana!! And you look amazing in those jeans!! I've looked for them but have been unable to find my size, even online! They're perfect! I'm in love with these jeans. I need to get myself a pair. I haven't had distressed jeans in a while. 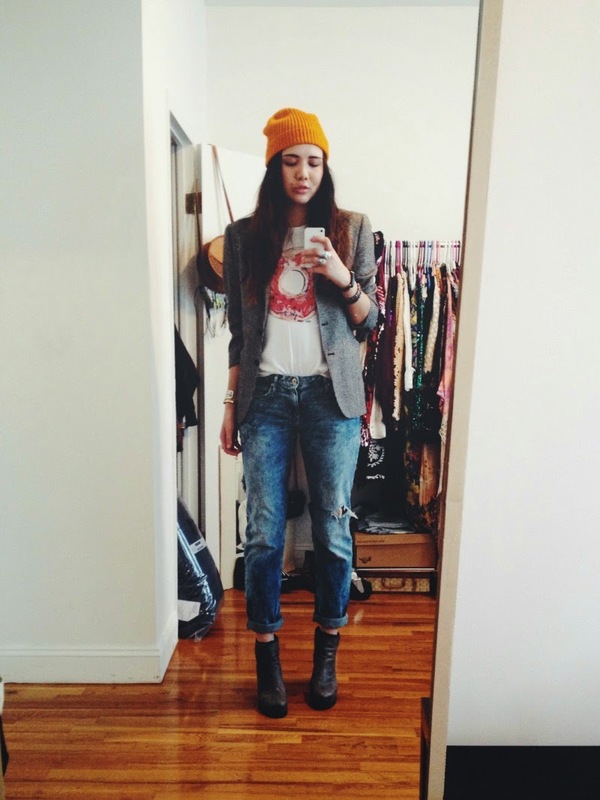 boyfriend jeans, shorts, capris...so into it! great look! those jeans are so fun. i've never tried boyfriend jeans before but these make me wanna buy a pair!